Your abiding support for the people of Ukraine in their struggle for freedom and democracy is of a great importance to us. This courageous struggle, marked by profound sacrifice, begun in November 2013 with the Revolution of Dignity at the Maidan in Kyiv and has lasted for more than 16 months. In the last year, Ukrainian civil society has grown in maturity by developing a new sense of responsibility, solidarity, and respect for human dignity. The leading power behind the massive societal change in Ukraine is the present generation of young Ukrainians. The challenge which this generation of Ukrainians is facing is striking both in its magnitude and potential for impact on the national and international scale. The challenge is two-fold: to free Ukraine from pervasive corruption through a process of painful reform and, secondly, to defend Ukraine from the Russian military aggression. By waging a war against Ukraine, President Putin has unmasked his profound fear of a free and democratic Ukraine exporting the values of freedom, dignity, and truth into Russian public life. He has punished Ukraine for the dignity of the Maidan by annexing Crimea waging war in the Donetsk and Luhansk Regions, killing thousands, creating more than a million refugees, and disrupting the economic life of a neighboring country. He has also completely subdued the Russian media by converting them into “ideological factories” producing disinformation, lies, falsifications, and propaganda for both domestic and international consumption. With this letter, I invite you to break through the walls of Putin’s authoritarian propaganda and lies by manifesting your support of Nadia Savchenko, 33, a Ukrainian military pilot who served in Iraq as a peacemaker and volunteered for military service to defend her country. On June 17, 2014 Nadia was kidnapped by the terrorists and was eventually transported to Russia and put in a detention facility there. 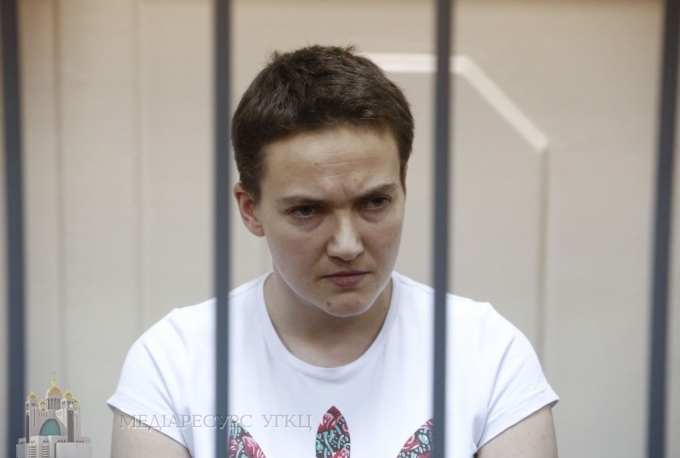 The Russian authorities claim that Nadia Savchenko was detained on Russian territory. She is formally charged with “aiding in the killing of two or more persons”. As I write this letter, Nadia is balancing between life and death after 75 days on hunger strike. Recently, Nadia made a dramatic step by refusing injections of glucose that supported her life until now, and has agreed to take only water while on this hunger strike. During the time of her detention in Russia, she has become one of the most well-known public figures in Ukraine by becoming a symbol of the Ukrainian national struggle for freedom while herself being a prisoner. During her detention, Ms. Savchenko was elected member of the Ukrainian Parliament in the recent elections held on October 26, 2014, as well as a member of the Parliamentary Assembly of the Council of Europe (PACE). Myroslav Marynovych, UCU Vice-Rector, former soviet dissident, and prisoner of a Gulag (he was about Nadia’s age when he experienced the full scope and cruelty of soviet repression) has written an open letter entitled The chalice of Nadiya Savchenko is constantly fuller, wherein he supports Nadia’s struggle, encourages her and makes a powerful appeal to all people of a good will to protect her and safe her life. On February 26 the UCU has announced that Nadia Savchenko will be awarded the “Light of Justice” award granted by the university to outstanding Ukrainian moral leaders. I invite you to support Nadia Savchenko, a representative of a new generation of Ukrainians in her powerful, dignified, and sacrificial commitment to stand up to the massive repressive, falsifying, and humiliating machinery of post-Soviet authoritarianism. I suggest and encourage you to use your academic contacts and partnerships with Russian universities and with individual representatives of the Russian academic community to draw their attention to the case of Nadia Savchenko. Even a modest effort on the part of the Russian intellectuals to support Nadia might trigger important processes in the Russian public domain. It is worth noting that Nadia, in spite of all suffering and the injustices inflicted upon her by the Russian authorities, makes a clear distinction in her court speeches between the authoritarian state structures and the majority of the Russian people whom she addresses in a dignified and respectful manner. It behooves academic communities committed to Christian values not only to search for truth but also to protect and to serve it sincerely. I am confident that your support of Nadia Savchenko and her just cause will promote justice and dignity, and will contribute to the victory of truth and freedom in Ukraine, Russia, and other post-Soviet lands. May our Good Lord bless us abundantly in times of challenge, suffering, and hardship by sharpening our perception and filling our hearts with compassion, love, and solidarity with our fellow human beings.